Who Do You Sue in a Truck Accident? 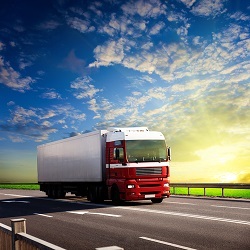 Trucks are typically operated by a trucking company, which can be held responsible for the actions of their drivers. As a result, you will typically sue the trucking company in order to obtain compensation for your injuries. 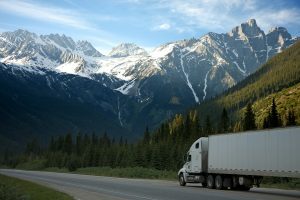 However, some trucking companies intentionally try to shield themselves from liability. Their drivers may be independent contractors, or the drivers are employed by a subsidiary corporation with little to no assets. It can often be difficult to identify who is the proper party to sue. Who doesn’t love a summer road trip? One of life’s true pleasures is getting out on the road to visit friends and family, head to the beach, or just get out of town for a while. We all know how important it is to drive safely, and we understand the risks involved in driving on the interstates and highways. However, we don’t often consider the increased danger of sharing the roads with large trucks and tractor-trailers. All motor carriers must participate in a random testing program that tests for alcohol and drugs. The regulations set out detailed requirements of the percent of employees performing safety-sensitive functions who must be tested. No reported case involving a personal injury claim against the motor carrier, and dealing with this regulation, was noted during research. This suggests that attorneys might be missing an opportunity to reveal a violation that would be especially relevant in a case involving intoxication. While the random nature of the testing required by the regulations makes it difficult to say a driver would have been randomly tested, a failure to comply at least gives rise to the possibility that he could have been tested, and thus possibly prevented from causing the accident in question. Random drug testing logically acts as a deterrent to alchohol and drug use, a point which may not be lost on an attentive juror.